My students enjoyed writing their edited, final copies into a picture with lines. 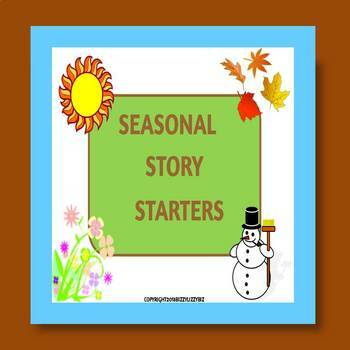 Telling/writing a story about an event that happened during a Seasonal celebration is an easy one to share with others. These 4 black-and-white images are formatted on 8x11 paper, which you can copy on white or color. You may want to enlarge them as well. Here are the 4 Seasonal pictures I "drew". Prepare for some FUN creative writings. You may want to bind them into a Class-book (LOVE those)! I'd love to read some of the stories. Let me hear from you.